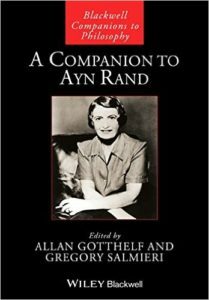 A Companion to Ayn Rand, edited by Allan Gotthelf and Greg Salmieri. West Sussex, UK: John Wiley & Sons, Ltd., 2016. 538 pp. $195 (hardcover). 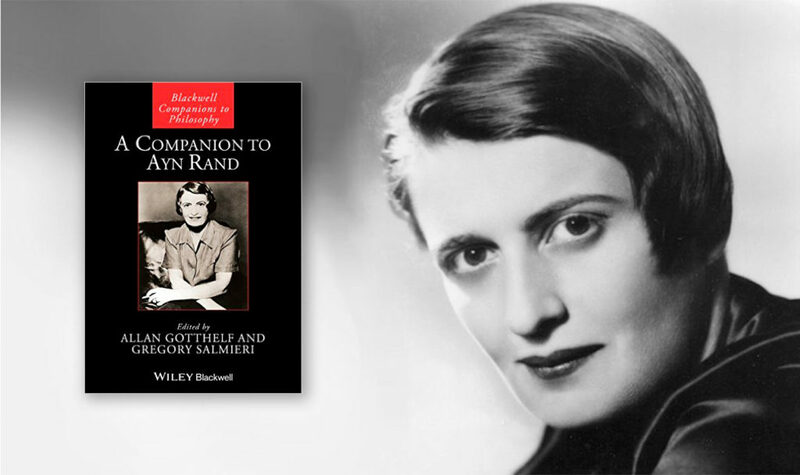 This Companion is the first volume in three decades to offer a comprehensive examination, by professional intellectuals (most of whom have academic positions), of Ayn Rand’s thought in all of its dimensions—metaphysics, epistemology, ethics, politics, and aesthetics. 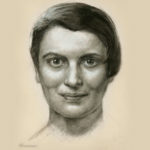 Overall, it’s a meritorious work, which surpasses a prior effort (see The Philosophic Thought of Ayn Rand, edited by Douglas J. Den Uyl and Douglas B. Rasmussen in 1984), partly because intervening decades have seen the release of more of Rand’s writings (her correspondence, journals, interviews, Q&A sessions, etc.) and partly because these contributors are generally more knowledgeable and more incisive about the distinctiveness of her philosophy. The most integrated, authoritative, and accessible account of Rand’s unique system of thought remains Leonard Peikoff’s Objectivism: The Philosophy of Ayn Rand (1991), but this Companion effectively showcases the truth and importance of Objectivism through the reasoning and writing of scholars who have closely studied Rand and Peikoff. With it, one can better grasp the depth and originality of Rand’s philosophic thought, especially in relation to conventional academic thought and her critics. To be sure, a greater number of serious and insightful works have been published on Rand’s novels and philosophy over the past three decades compared to the three decades after the publication of Atlas Shrugged in 1957. And many respectful and analytical articles on Rand’s ideas have appeared recently in scholarly journals. But this Companion is especially important, for beyond its solid content, it signals the growing prominence of Rand scholarship. 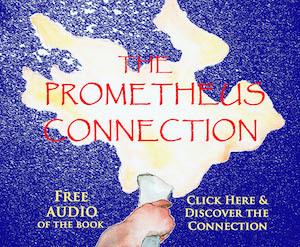 This book is the sixty-first entry in the publisher’s series “Companions to Philosophy,” which was launched in 2006. Only a third of the volumes have focused on specific thinkers. Wiley & Sons has recognized Rand as belonging in the company of influential philosophers such as Plato, Aristotle, Socrates, Descartes, Locke, Hume, Kant, Hegel, Nietzsche, Wittgenstein, Heidegger, and Rawls. The Companion has six main sections: 1) “Context,” including an introduction and a brief but fascinating biography; 2) “Ethics and Human Nature,” containing chapters on Rand’s view of self-efficacy, value-seeking, egoism, altruism, and free will; 3) “Society,” with chapters on her view of social relations (and the principle that no conflict arises among rational people), justice, politics, law, and economics; 4) “The Foundations of Objectivism,” comprised of chapters on Rand’s metaphysics and epistemology; 5) “Philosophers and Their Effects,” with chapters on her interpretation of the meaning and influence of other philosophers and schools; and 6) “Art,” with chapters examining Rand’s embrace (and elaboration) of what she called “romantic realism” in aesthetics. The volume closes with a chapter by the editors on Rand’s inspiring “sense of life,” titled “Hallmarks of Objectivism: The Benevolent Universe Premise and the Heroic View of Man.” Also of note is the six-page annotated bibliography of the primary sources (among others) relied upon by the contributors, which is a concise and valuable summary of the entirety of Rand’s works and of works she explicitly endorsed (especially by Peikoff). Companion is aimed more at an academic than a general audience, and its steep price will ensure that it is placed primarily in university libraries rather than private ones. But anyone with serious interest in Rand’s profound ideas and expanding influence would do well to access the book and study it closely. (The Kindle edition is currently available for $43.99.) In particular, college professors will find the book valuable not only for accurately conveying Rand’s insights, but also for teaching philosophy or literature more generally. Although technical in spots, the book is easy to digest, in part because it focuses primarily on rational (hence more comprehensible) ideas and in part because it eschews the jargon and pretentious ambiguity common to so much academic output today. Edited volumes typically are difficult to commend, because they tend to lack the unity of theme and style that a singular author more naturally conveys. Thankfully, this Companion contains not only such unity, but also coherent, graspable presentations of a broad range of profound but challenging philosophic principles. 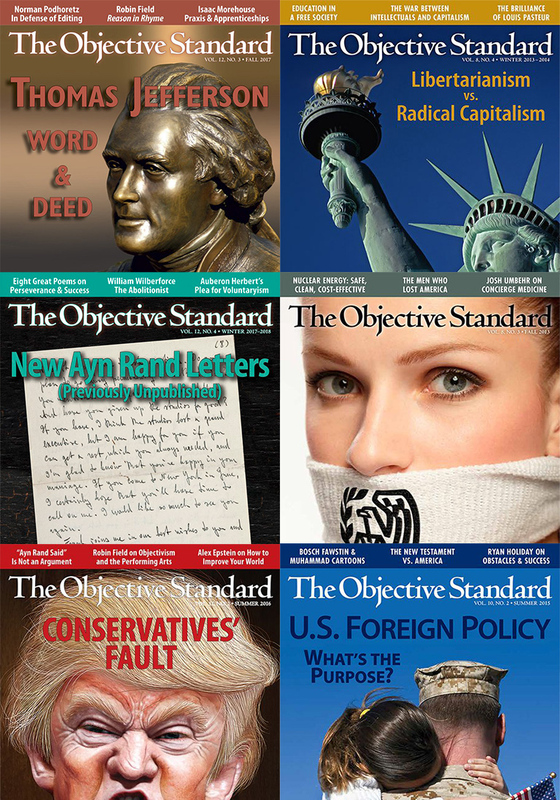 This is possible because the contributors generally share a deep understanding of Rand’s Objectivism and because the editors organized the essays to maximize coherence. The theme of the book is that Rand’s philosophy, being rational, consistent, comprehensive, and original, is worthy of serious study and comparison with other philosophies. Or, put negatively, fair scholarship today cannot ignore Rand’s system. The structure of Companion highlights the unique personal value of Rand’s philosophy, which is highly motivating. The first section examines Rand’s account of man’s nature and the egoistic ethics that his nature demands. 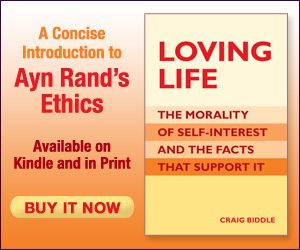 Chapters in the section are devoted to subjects that clearly matter at a personal level: “The Act of Valuing,” “The Morality of Life,” “A Being of Self-Made Soul,” and “Egoism versus Altruism: Selfishness and Sacrifice.” A valid philosophical system (Rand’s included) must be based on self-evident axioms, and such a system can be presented hierarchically, with metaphysics and epistemology first, and derivative branches (ethics, politics, and aesthetics) later. But Companion isn’t a treatise and doesn’t replicate what Peikoff achieved in 1991. Rather, it’s a guidebook for those who want to approach and understand Rand’s thought for purposes of enriching their lives, expanding their knowledge, and improving their society. Although the book begins with Rand’s ethics—the midlevel of the philosophical hierarchy—thereafter it ably examines both its foundations (in metaphysics and epistemology) and applications (to politics, economics, and aesthetics). In “A Human Society: Rand’s Social Philosophy,” Darryl Wright expounds on the trader principle. He explains that “Rand’s concept of trade applies to both material and spiritual issues. 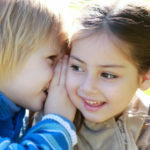 Friendship and love, as she views them, are exchanges of spiritual values, those involved in experiencing the other person’s character, personality, and sense of life” (160). He also highlights that “a shared commitment to the trader principle leads to, and is indispensable for, a social atmosphere of benevolence. Those who share this commitment wish each other well. They have nothing to fear from one another, and they can expect to be rewarded, not exploited, for their achievements—rewarded not just materially but also spiritually in the form of admiration, respect, good will” (161). Wright goes on to explain how the trader principle depends on individual rights, saying that “rights fundamentally protect the individual’s ability to function as a moral agent,” and “socially, that ability depends on freedom from coercive interference” (173). In “Objective Law,” Tara Smith shows how Rand’s philosophy is crucial to establishing and maintaining a consistent set of laws and judicial principles (including the judicial review of legislative acts) that protect individual rights. Along the way, Smith provides an illuminating account of the typical juxtaposition of “the rule of men” (meaning subjective rule) and “the rule of law” (meaning objective rule). The distinction, she notes, can be imprecise and misleading, for laws are unavoidably made and administered by men; the real challenge, then, is to ensure that men legislate and adjudicate rationally, and if necessary, in direct defiance of the will and whims of the majority. Not unrestrained democracy but a constitutionally limited, rights-respecting republic is the ideal (and realizable) political system. Tore Boeckman’s chapter, “Rand’s Literary Romanticism,” is pathbreaking in how it provides new and abundant historical context for what Rand sought to achieve in her artistry (novels, plays, and screenwriting). He clarifies the essence of classicism, romanticism, and naturalism; how they’ve evolved historically; how they differ; and how each retains some influence today, but naturalism dominates. The result of this analysis is a vivid view of Rand’s uplifting, humanistic aesthetic, which envisions man at his best, as he can be and ought to be: both efficacious and worthy of happiness. Boeckman artfully shows that in Rand’s view, life needn’t be tedium or a veil of tears; although not free of obstacles and pain, it can be and should be a journey that we plan and enjoy. 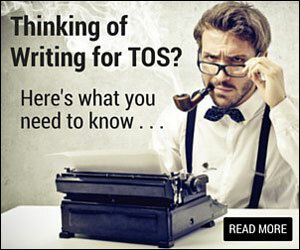 On many occasions (e.g., on page 124), contributors’ arguments rely heavily on what Rand’s fictional characters say or do, which may strike non-Objectivist readers, people unfamiliar with Rand’s novels, or people who don’t read novels generally as contrived or overly idealized (hence nonobjective). Although a solid chapter explains how Rand’s philosophy differs fundamentally from Nietzsche’s, no chapter (and little focus) is devoted to how her philosophy differs from Immanuel Kant’s, even though she considered him the most wrongheaded, evil, and influential of all modern philosophers. In a chapter on Rand’s interpretation of cultural-political events in the 1960s, 1970s, and early 1980s, there’s no questioning of Rand’s harsh assessment of Reagan’s politics, which was unwarranted given her often staunch defenses of such inferior Republican party leaders as Nixon and Ford. Finally, the least-strong chapters in the book are the two that pertain to Rand’s views on capitalism and political economy; the chapters omit or de-emphasize crucial principles (the nature of economic value, the laws of economics, the primacy of the producer, the meaning of “laissez-faire,” and why it’s neither an unrealizable ideal nor compatible with anarchism)—and overemphasize less-relevant ones (intellectual property rights). Salmieri particularly should be commended for coordinating and completing this fine work. 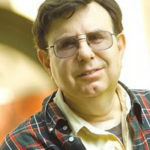 Not only was it many years in the making; but amid painstaking simultaneous duties as coeditor and contributor, he faced the deeper, personal pain of losing to cancer two of his closest friends and intellectual collaborators: coeditor Allan Gotthelf and contributor John David Lewis. In more than a few cases he had to complete work that those great scholars had begun but couldn’t finish. He’s done so, carefully, meticulously, and professionally. 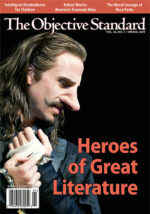 The same heroic, uplifting sense of life that’s so ably conveyed in this book is personified in Salmieri’s heroic effort to make the book itself a reality. 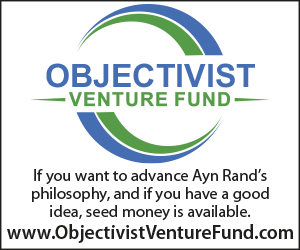 Rand once summarized Objectivism as “a philosophy for living on earth.” It isn’t, like so many other philosophies, an escape route to some afterlife, a mindless parlor game, or a polemical bludgeon to smash one’s foes. Rand developed and dramatized “the concept of man as heroic being, with his own happiness as the moral purpose of his life, with productive achievement as his noblest activity, and reason as his only absolute” (Atlas Shrugged, 1070). 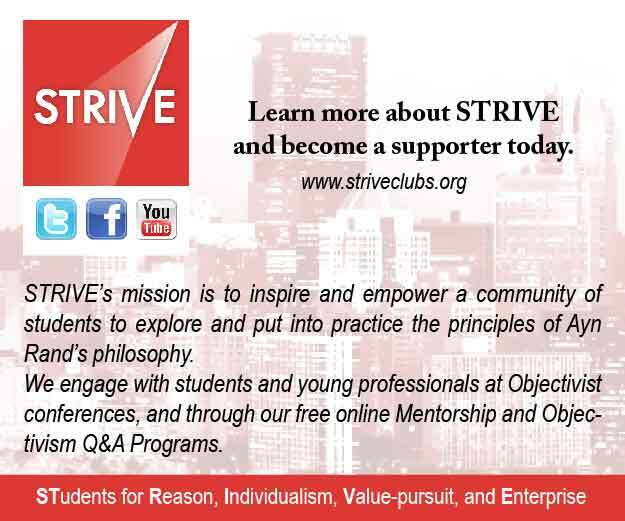 If one uses Objectivism properly as a guide to living life well, one may also use this Companion as a guide to understanding Objectivism well.